MWave : [Poll] Which Male Group’s Comeback Has Got You Pumped? @ LeeJeongRhie : (02 April 2018 - 12:17 PM) anyone? @ rafacha : (12 February 2018 - 09:27 PM) Happy Donghyun day!! @ Deisy : (12 February 2018 - 03:54 PM) Había perdido este lugar y al fin lo encontré nuevamente.. Feliz San Valentin para los que quedan. Aún este lugar funciona? @ jhietery : (11 February 2018 - 04:25 PM) this place is still here..
@ Maisarah_nev... : (20 January 2018 - 08:54 PM) Hi! I'm new here.. Can I join this? @ fedianto : (16 October 2017 - 10:26 PM) Annyeong bestfriend!!! @ auxilia : (06 October 2017 - 06:16 PM) I'm back... anyone?? @ elji_annicam... : (29 July 2017 - 07:01 PM) Hi, Beppeus! @ Sami98 : (28 July 2017 - 02:15 AM) I'm so grateful to have found this forum. I don't know many Bestfriends outside of my friends (most of which I made them Bestfriends) so I hope I can make new friends here! @ ♡Mily♡ : (22 July 2017 - 11:45 PM) Hi!! @ DandyPikachu : (03 July 2017 - 07:27 AM) It's been so long since anyone has beene here huh? 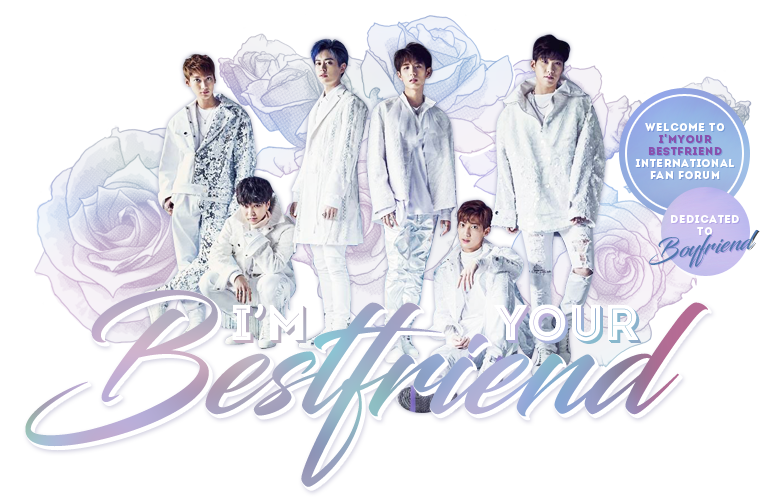 Fellow bestfriends, we must work hard for Boyfriend when they comeback in Korea! Gotta bring this forum back to life like it was before.